Two new reviews out. One from the distinguished Charles Butterfield writing in our great local newspaper the Brattleboro Reformer, and the other from the national Small Press Book Review. Very happy about both of these! This page has updated links to all reviews of A FIELD GUIDE TO MURDER & FLY FISHING. “From the mountain lakes of the Colorado Rockies to cobbled streets of Spain, this fascinating collection of short stories by Vermont-based writer Tim Weed (Will Poole’s Island) never disappoints. The stories are more about choices than they are about fly fishing or murder, but time and again Weed’s vivid characters in these thirteen tales of dark adventure are forced to confront a vision of themselves—or others—that’s not quite as positive as they’d hoped . . . A Field Guide to Murder and Fly Fishing is a collection you’ll be happy to get lost in.” Julie Reiff (full review at Ploughshares). Stay tuned for the official announcement of the April 7, 2017 release on Facebook, Twitter, LinkedIn, and the email newsletter. No need to wait though! Pre-order the collection at Amazon or Barnes & Noble. Received this good news recently. “Mouth of the Tropics” is a short story I had a great deal of fun writing, about an American biologist in Venezuela’s Orinoco Basin who sets out to discover a new amphibian species and gets a great deal more than he bargained for in the process. It’s a special honor to be nominated by Green Writers Press, which has a unique vision and has been putting out an exciting array of new books over the last few years. Keep your fingers crossed! Pleased to note that my short fiction collection, “A Field Guide to Murder and Fly Fishing,” was named a semifinalist for the 2015 Subito Press Book Prize. So far, earlier versions of the same book have also been shortlisted for the New Rivers Press Many Voices Project, the Autumn House Fiction Prize, and the Lewis-Clark Press Discovery Award. Stories within the collection have won a Writer’s Digest Popular Fiction Award and the Grand Prize of Outrider Press’s The Mountain anthology, and have been shortlisted for many awards including the Lightship Publishing International Literature Prize, the Glimmer Train Short Story Award, The Richard Yates Short Story Award, and others. It’s been a long road for these stories, all of which have appeared previously in literary magazines and/or anthologies, but a final home may be in sight. Stay tuned for more exciting news about the collection . . .
Hey everyone, very pleased to announce the publication of my story, “The Dragon of Conchagua,” in the latest issue of Saranac Review. 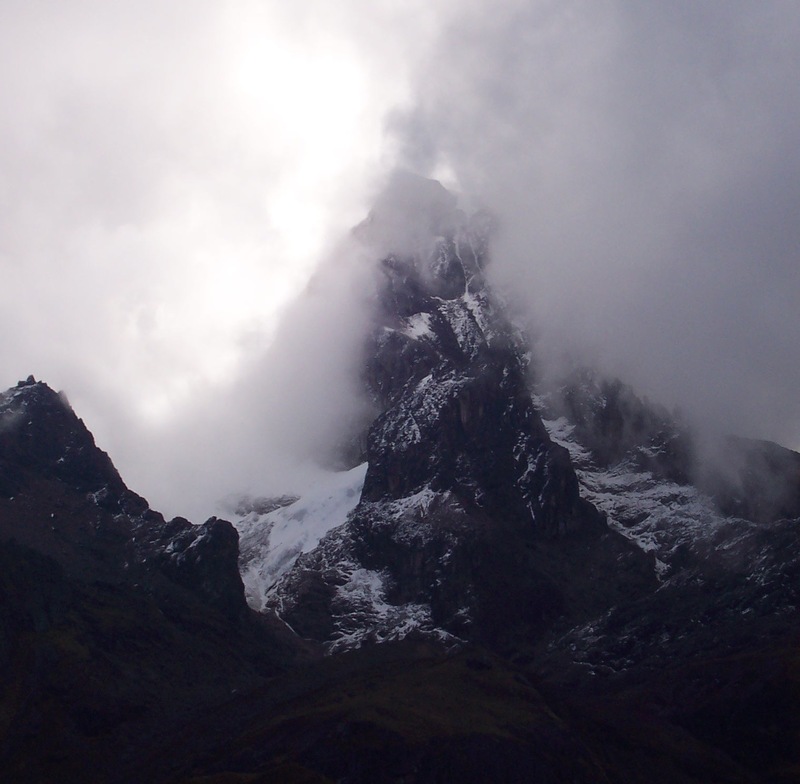 In the story, a troubled former Peace Corps volunteer returns to Ecuador to climb a high-altitude volcano, where he is plagued by disturbingly vivid memories. This is a subject that has been haunting me for a long time, since the early nineties, in fact, when I was doing quite a bit of work in Ecuador and exploring the evocative páramo in the “Avenida de los Volcanes” near Quito. Its interesting how long actual experiences have to gestate before they can emerge as fiction—although the truth is that this story, like most of my published stories, has gone through literally dozens of drafts, often over a period of many years. An earlier version was shortlisted for the Tucson Festival of Books Literary Awards, but this is the first time it’s been released to the world at large. I’m especially thrilled about this one because Saranac Review is a well-regarded, well-put-together literary journal, and this issue looks particularly good. You can order the paperback or PDF copy of the journal here. Pleased to note the publication of my story, “Mouth of the Tropics,” in GreenZine: Green Writers Press Magazine. An American biologist in Venezuela’s Orinoco basin sets out to document the discovery of a new amphibian species, and gets a great deal more than he bargained for in the process. An earlier version of this story was published as “Specimen” in Victory Park: The Journal of the New Hampshire Institute of Art, and was nominated for the Pushcart Prize Anthology. You are currently browsing the Anthologies category at Tim Weed.